It’s July, which can mean only one thing here at Sailbrand the lobster festival has arrived! The ultimate in luxury shellfish, perfect for outdoor eating, pairing with fizz or adding a touch of opulence to any dish. 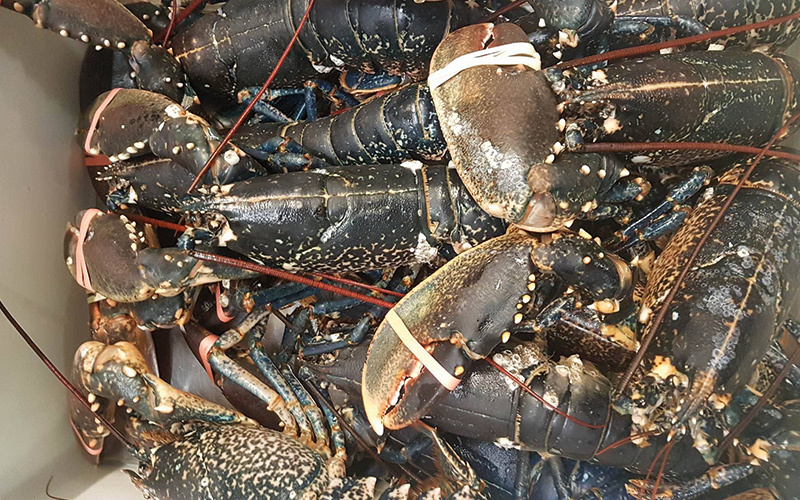 Renowned for their sweet, tender meat, we at Sailbrand are delighted to offer them to you a GP healthy 10 lobsters for £70… you read that right, £7 for an entire lobster! Not only good for the meat, the shells make the most amazing base when roasted with a few bits of herbs and vegetable, perfect for creating bisque. 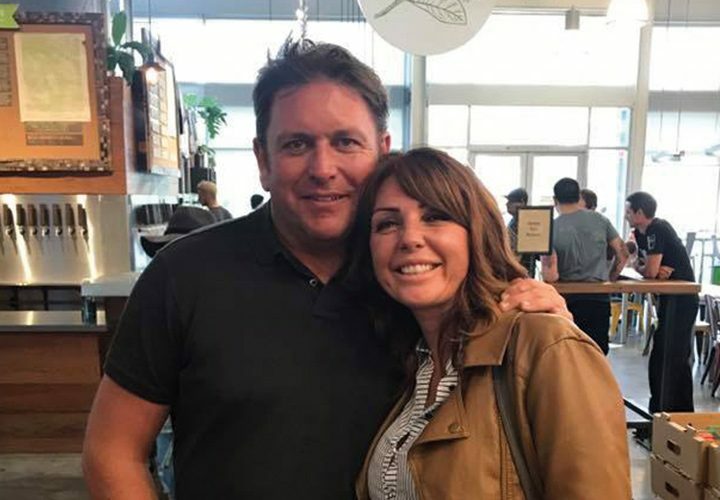 On top of that, we will feature your restaurant on our website and social media, simply tag us in a post using our lobster (or any other Sailbrand produce) and let us know what you’re cooking up, we will do the rest. 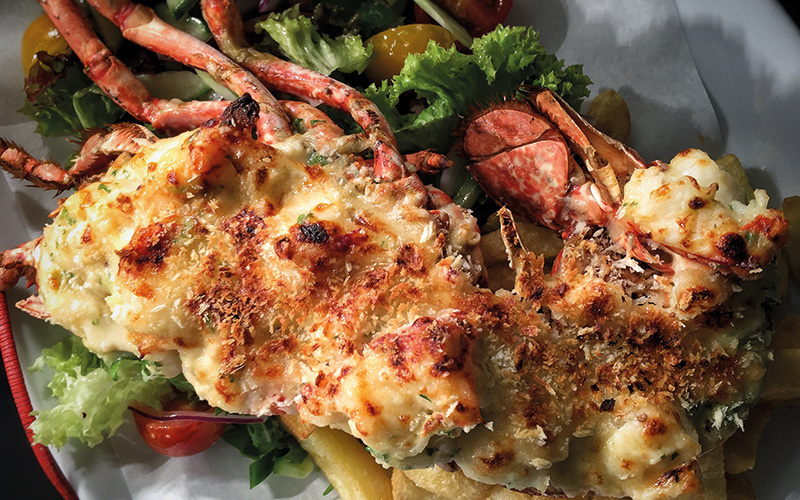 In the meantime, while I have you, check out the best fish and seafood to be using right now using below, as well as a recipe for a stunning classic: lobster Thermidor. As always, the team here are on the phones day and night, ready to answer any questions you have or take your order. Give them a call to hear about our other current specials. 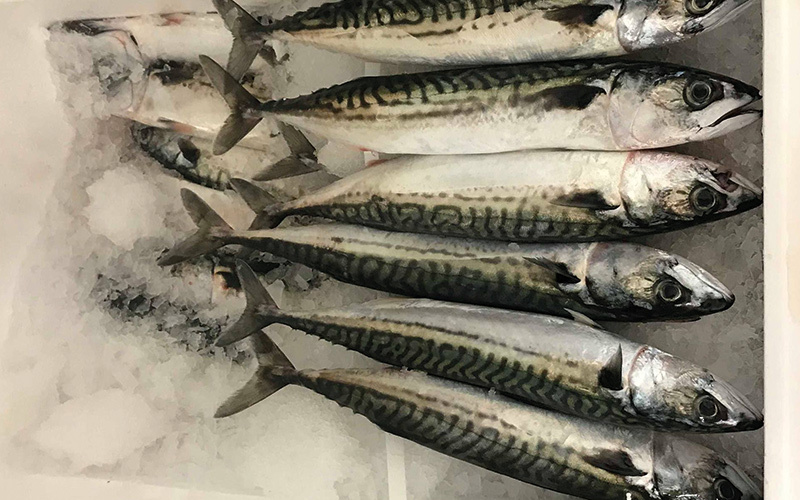 Mackerel is a cheap, tornado shaped beauty of a fish, it lends itself well to charring, grilling, roasting or eaten cured and raw as a tartare. Respected by chefs of all levels and backgrounds thanks to its versatility, it is also a comparatively sustainable fish, meaning you can have it on your menu with a clear conscious. Our mackerel is stiff alive, with amazing iridescent skin, clear eyes and shiny bodies. Give us a call today and get some in for your specials board, you won’t be disappointed. Other fish in season include: Brill, Trout, Monkfish, Salmon, Crab, Gurnard, Hake, Mullet (Silver) Turbot and Bream. Firstly, boil a large pan of salted water. Place the lobster into the boiling water; leave to simmer for 4-6 minutes, depending on the size of the lobster. If you are in doubt as to whether or not it is cooked, carefully push a carving fork or skewer into the middle of the shellfish; if the skewer or fork is hot to your lips the lobster is cooked. 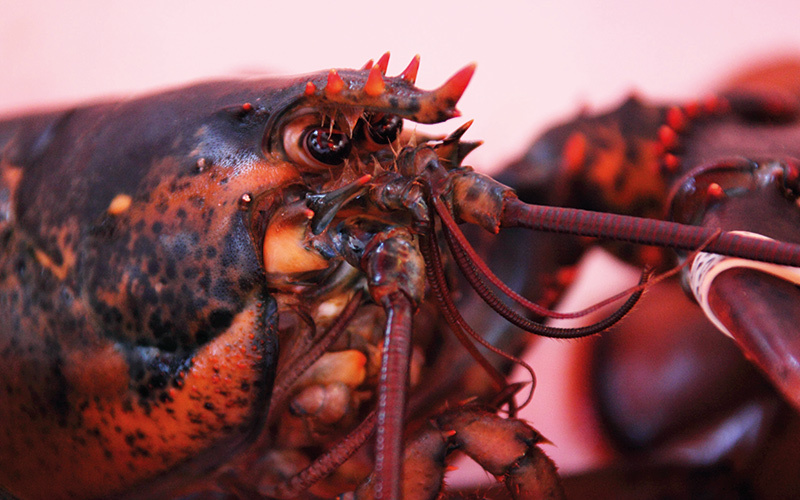 Drain the Lobster and rinse with cold water to clean the shell and allow to cool. Place the Lobster on a chopping board with the head facing you. With a sharp robust knife cut down into the shell in the middle of the head (there is a recess halfway down). Next, cut down towards the head of the lobster separating the two sides. Repeat the process, this time cutting towards the tail of the lobster; ending up with two halves. Remove the pouch which is located close to the head; this is the only inedible part of a lobster. Break the claws from the body and remove the meat using a rolling pin or another object to crack the shell. Place the claw meat in the cavity of the head of your lobster. For the Thermidor sauce, add the butter to a pan, add the shallots and cook until softened. Add the stock, wine and double cream and bring to the boil. When the mixture has reduced by half, add the mustard, parsley, lemon juice and seasoning.